Happy Imbolc from Witching the Homestead, everyone! Here in Pennsylvania, we are blanketed in snow. Everyone is starting to feel tired of the scraping ice off their cars, shoveling and salting sidewalks, and bundling up in coats, gloves, and scarves. 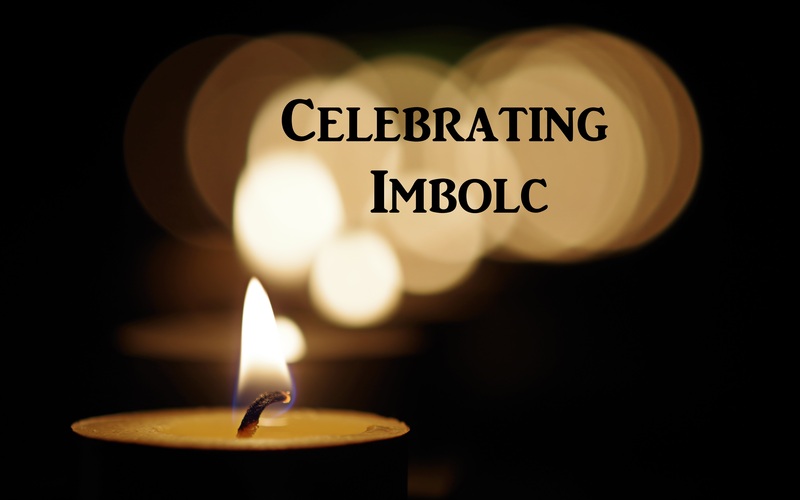 Imbolc reminds us that spring is on its way. It is a marker in the cycle of seasons to tell us, This winter is not unending. For the magically-inclined celebrants of Imbolc, this is a great time to bring new energies into our lives, pursue goals, and awaken our hearts and minds as spring awakens beneath the snow. For me, because the goddess Brighid plays a huge role in my life as healer, poet, and fertility goddess, today is a day to honor her. I will honor her today with prayers, candle light, and offerings of homemade bread. She will be on my mind today as I work in a healing capacity with my massage clients and today I remember to honor her as protector of our home. I hope your Imbolc is blessed and that the final weeks of winter are kind to you. Faith is a word I’m struggling with a lot lately. Faith is a big thing in Christianity, in most religions, and in the many years I spent as a Christian, I had a lot of faith. Faith that God was listening, that God had a plan for me, that God forgave me when I did something wrong. Faith is something that’s a lot harder from me as a Pagan, in a religion where a lot of people see the gods as removed and distant. But are they? Does my faith really have to be so different now? I have faith that the gods are powerful and interact with people’s day-to-day lives, that they hear the prayers of those devoted to them and want to have meaningful relationships with humans. I can’t see the gods. I have no proof, other than my own personal experiences and interactions, that they exist, but I believe they exist. I have faith, not only that the gods exist, but that I am following a spiritual path with teachings that are moral, fulfilling, and bring meaning to the way I am living my life. belief in anything, as a code of ethics, standards of merit, etc. Part of my goal of becoming more consciously spiritual this year is to study the ethics and values of my religion through the lens of Celtic spirituality. I am not living in a religion devoid of standards of behavior. I proudly identify as part of a Pagan faith, in which I’ve created community with others of similar beliefs. the obligation of loyalty or fidelity to a person, promise, engagement, etc. I am loyal to the gods and to the people I’ve engaged with because of my Pagan faith. I have made the promise to live my life in a way that honors the gods, to please them in the way I live my life and interact with other people. the observance of this obligation; fidelity to one’s promise, oath, allegiance, etc. I work hard to keep my promises; I believe that oath-breaking is a terrible dishonor in the eyes of the gods I worship, and I believe it’s a terrible way to act toward other people. The promises I make carry weight, and a lot of it. Faith is hard for a lot of people. It’s hard to believe there is purpose and order in what feels like life’s chaos. If the gods didn’t have plans, if they didn’t want a relationship with us, why would they call to us at all? Why do we have myths and stories and legends of gods interacting with people that span the ages and have survived time, place, wars, and religious conversions? The gods are still here, and I’m working on my faith. That is my altar to Brighid, also known in our house as the family altar. It contains a really awkward picture of my fiance and I given to us by my mother-in-law, a candle, an offering bowl, a tarot card from the Celtic Tarot depicting Brighid, which I altered to fit in a picture frame, and a pretty pumpkin decoration that I bought in the fall and haven’t removed yet. It’s simple, but it’s a reminder that the gods are intertwined with my everyday life, not distant and easily forgotten. There are a lot of little ways that I stay spiritual every day, even when I’m not doing big rituals or celebrating holidays. I never take my amber crow necklace off, as a reminder that the Morrigan is always with me. I’ve been putting off creating an altar to Her because it felt like such a huge, delicate undertaking, but mostly, I think she just wants to be in my daily life too, and I should probably just create a shrine with what I have. I pray all day long–to the Morrigan, to Brighid, to other gods–mostly for little things like protection and wisdom and patience (I really struggle with patience). Sometimes the gods will nudge me during the day to tell me they want something. Oftentimes, this is Brighid, asking me for a bit of black coffee in the morning, and I’m happy to share. 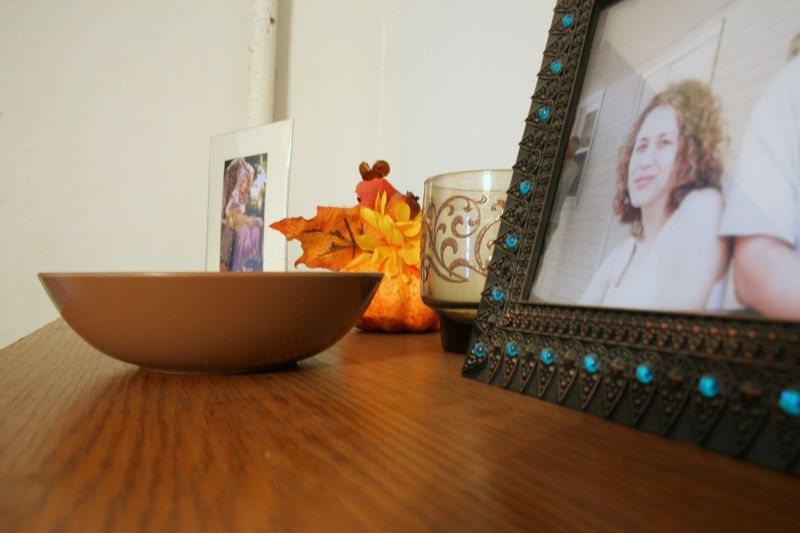 I pour a little in Her offering bowl and whisper a few words of gratitude. I don’t always make time for grand gestures and elaborate rituals. I save those kinds of workings and offerings for holidays and special events, but I cherish the little moments with the gods, all day long, little reminders that I’m not alone and that there is something bigger out there. 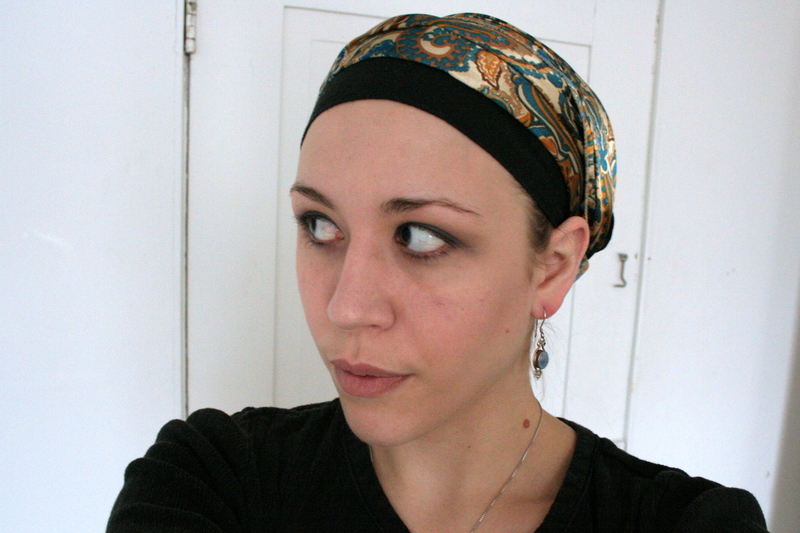 There was a lot of talk about Pagan Headcovering on the interwebs a few years ago. I seem to have come to the conversation a bit late, but the idea has been so intriguing to me that I feel I need to say something about it here. 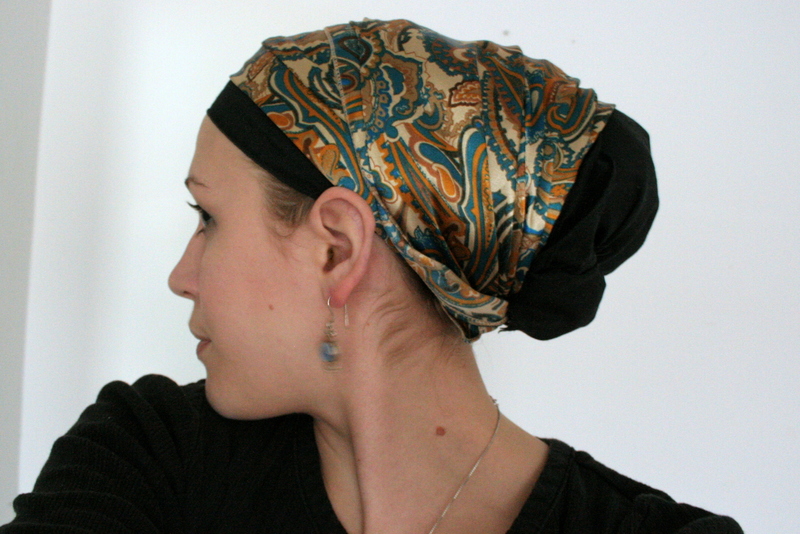 Pagans, and women from all faiths, cover their heads or hair for all sorts of reasons: modesty, a calling from god(s), to modify energy within themselves during ritual, to cover hair loss from cancer treatment or alopecia, to mark marriage, as a fashion accessory. I’ve seen a lot of blog posts (like this one here and another here) defending and promoting a woman’s right to cover her head for any reason she chooses. I’ve also seen a few posts around the internet condemning headcovering as unnecessary, un-Pagan, and a part of cultures in which women are expected to be submissive that are not in alignment with the freedom of Paganism. I grew up in a neighborhood where a lot of my neighbors were Saudi Arabian. Graceful, veiled hijabi women were my friends’ moms, and it never seemed abnormal to me. They were just moms who spoke Arabic and dressed differently from my mom. In fact, we have a huge Muslim population here. When I worked close to the university, I saw women wearing hijabs every day. As I got older, I felt a fascination and connection with these women, and it enraged me to read about places where governments were trying to a) force them to cover or b) infringe on their right to cover. Why should someone else get to decide what clothing these women wore or how to connect with their God? Despite a multicultural university culture here, a lot of towns outside the main town are still really conservative and xenophobic. A woman I worked with at the mall saw a hijabi woman once and said, “I could never live like that, with my husband controlling my life.” People here are still very ignorant of what it means to cover. They don’t understand that, for the most part, covering is a choice. A lot of it is Islamophobia too…no one ever says a word about the Amish and Mennonite women wearing headcovers around here. To me, there was something deeply spiritual, completely regal, and out-of-my-grasp about these women’s choice to cover. I was almost jealous. But Pagans veiling and covering? I had no idea that existed, and when I stumbled upon blogs and forums and conversations happening on the internet about it, I was completely hooked on the idea. This was something I could do, and as I learned researching it, that any woman of any faith could choose to do. 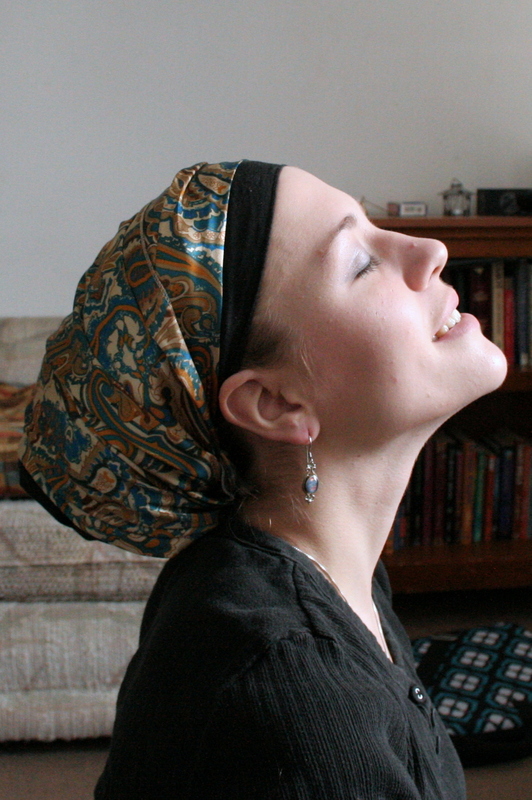 So I started experimenting with styles, and I fell in love with the traditionally Jewish-style headcovering: the tichel. At first, my fiance was totally opposed to headcovering. “You can do what you want,” he said, “but I don’t find anything attractive about it.” Then I started Tichel Thursday, a few weeks in which I covered every Thursday when I went to appointments and ran errands. I got some lovely compliments on my scarves, and I texted pictures to Big Bee. And guess what? He thinks my tichels are pretty. Then I didn’t cover for awhile. To my disappointment, I didn’t feel a calling from any of my gods to cover. I didn’t feel like I needed to cover to express my womanhood or spirituality. I didn’t feel the connection I was hoping for at all. It’s only recently that I’ve started covering again. I don’t cover every day, and it doesn’t always hold grand significance other than, “Hey, this is easier than fighting with my mess of curls today.” I think that’s okay, and that pull to cover, that fascination with women’s coverings and reasons for veiling is still there. It does make me feel more feminine, though not necessarily more spiritual. It makes me feel pretty and classy and fashionable and womanly. The beauty of headcovering lies in a woman’s choice to cover for whatever reasons she wants. I’m in agreement with them. It’s my right as a woman to choose how I clothe myself and how I want to perceive myself and show myself to the world. I still don’t cover all the time. I’m still not sure what covering means to me yet. I’m still having bad tichel days where my scarves look horrible, my bun looks stupid, and I throw my scarves aside, exasperated. But this is a journey, and I’m not sure what this part of my journey means, but I’m going to continue to explore it.